Men with increasingly severe impotence problems are wise to take immediate heart-healthy steps. That is because a new health breakthrough found that impotence is linked to a higher risk of heart disease and even death. Published last week in PLOS Medicine, the large-scale study shows that the risk of future cardiovascular disease and death rises as erectile dysfunction (ED) becomes more severe. This is the case even for men with no history of heart problems. This is the first study to show that severity of impotence corresponds to a higher risk of heart disease hospitalization and all-cause mortality. Australian researchers examined the link between severity of self-reported impotence and those issues in 95,000 men over the age of 45. It included more than 65,000 men without known heart disease, and more than 29,000 men with heart disease. During two years of follow-up, there were 7,855 hospitalizations for heart disease, and after three years, there were 2,304 deaths. Researchers found that men who did not have heart disease but had severe ED had a relative 35% increased risk of hospitalization and a relative 93% increased risk of all-cause mortality. 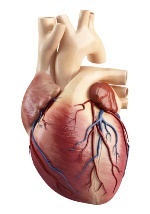 For men with heart disease and severe ED, the numbers were 64% and 137%, respectively. The researchers say this is important, as it highlights the need to consider impotence in relation to a wide range of heart problems. They stressed that it is unlikely that ED causes heart disease. Instead, the culprits are conditions such as atherosclerosis (clogged arteries) that are contributing to both. Most importantly, men who are experiencing significant impotence problems are wise to get some testing to assess their risk for heart disease. Meanwhile, making lifestyle changes to promote heart health is an important step. Banks, E., et al., “Erectile Dysfunction Severity as a Risk Marker for Cardiovascular Disease Hospitalisation and All-Cause Mortality: A Prospective Cohort Study,” PLoS Med. 2013; 10(1): e1001372.